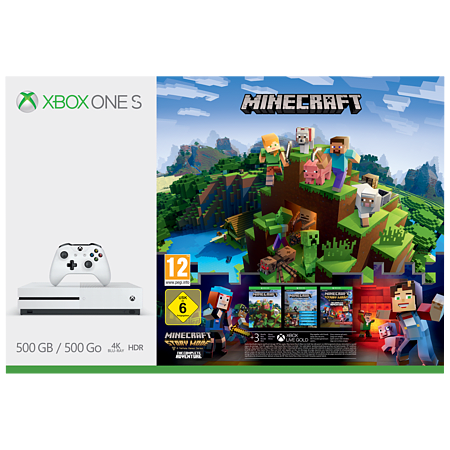 Get the Xbox One S 500GB Minecraft Complete Adventure Bundle and be part of a worldwide phenomenon. 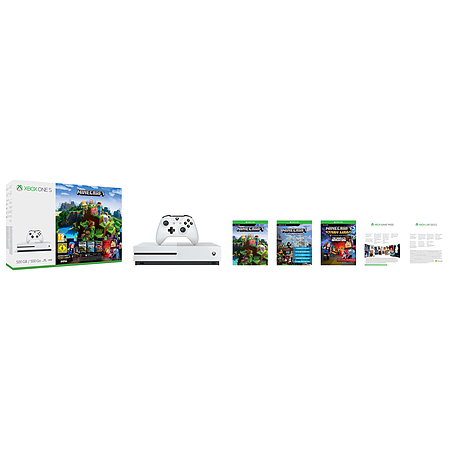 This bundle features the Xbox One S console, a full-game download of Minecraft plus the Explorers Pack, Minecraft: Story Mode – The Complete Adventure, and a wireless controller. 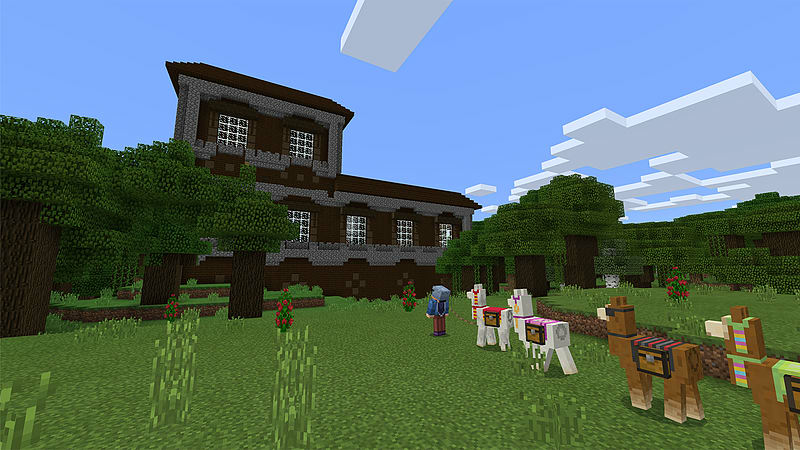 Plus, get 3 months of Xbox Live Gold to join the online community of Minecraft fans and builders. 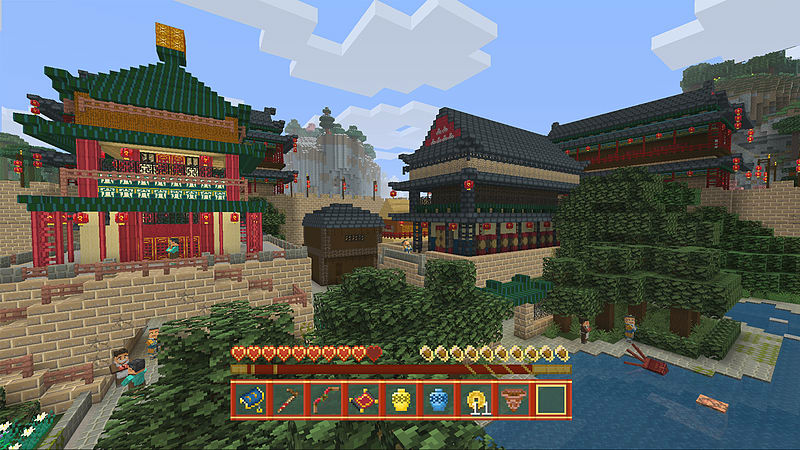 * Game and add-on download codes inside. Download from Xbox Live: ISP fees apply; significant storage required. 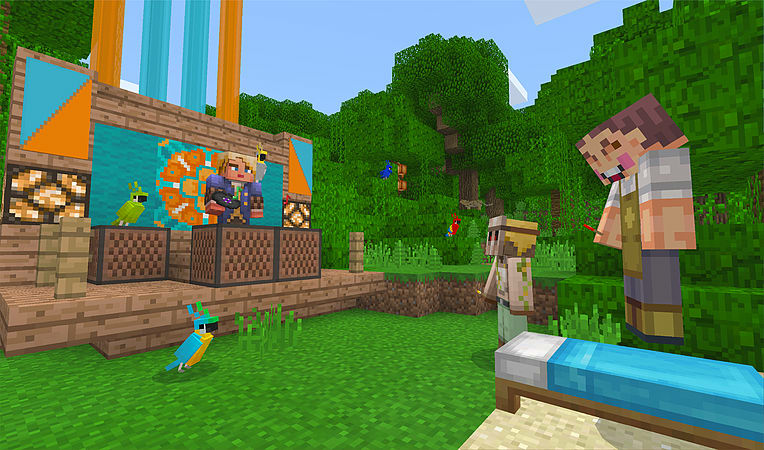 After free trial, online multiplayer features require Xbox Live Gold membership (sold separately).